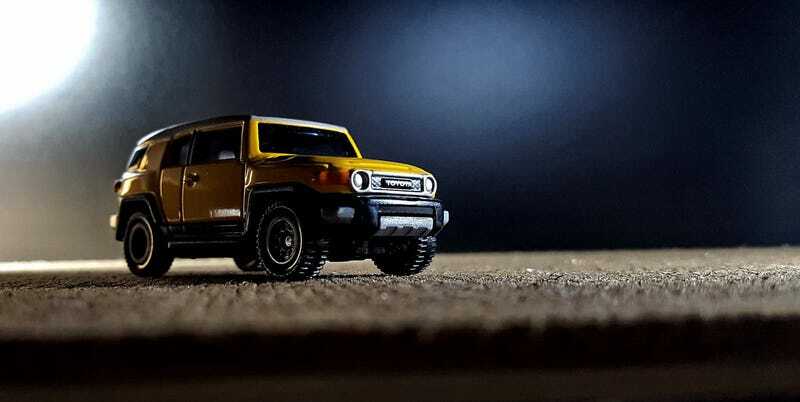 I’ve always liked the Toyota FJ Cruiser cast.. its well detailed, has complete tapos, just the right ride height... but its wheels were a little thin, it looked a little off. So I looked for another cast with around the same size of wheels. I remember that I had this Jeep Wrangler... took a few measurements, then I took it apart. (see the wrangler below). It wasn’t a perfect fit... it seems that the chassis of the FJ was a little wider than the Jeep, the wheels wouldn’t even fit. So I had to cut a little of the chassis, then sand off a little of the wheel wells.... only then did the wheels “click” into place.